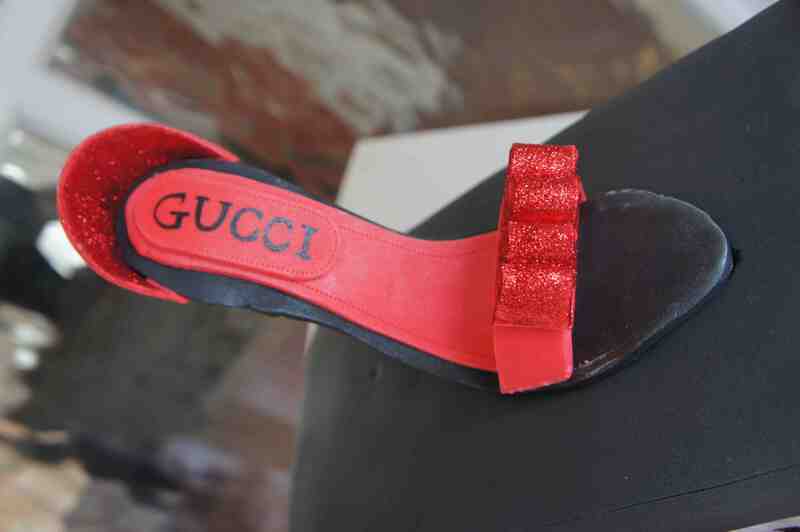 This was a really fun cake to create. 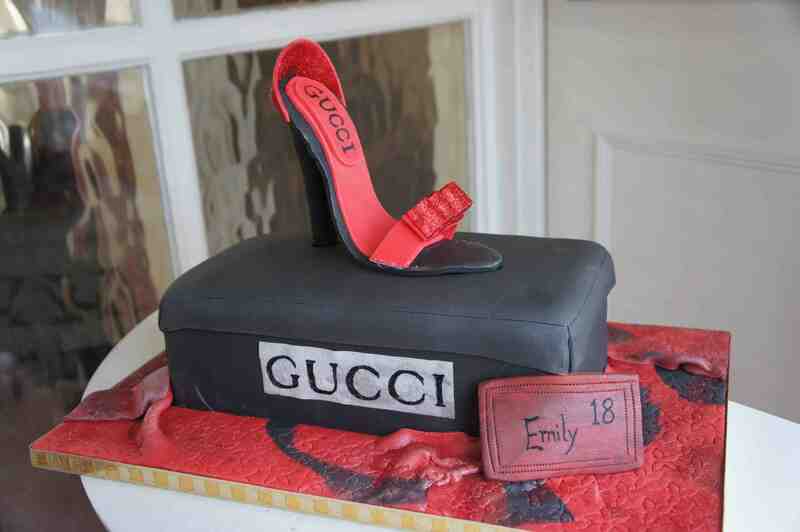 The birthday girl’s passion for her gucci clothing helped us to design this 18th birthday cake with her in mind. 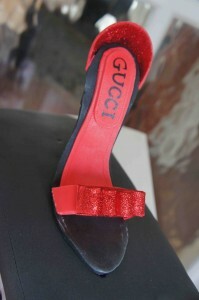 The sugar crafted full size shoe was meticulously made to the design of her favourite pair of shoes.